1. When a product is labelled as gluten free, but it’s surrounded by other products containing gluten. 2. 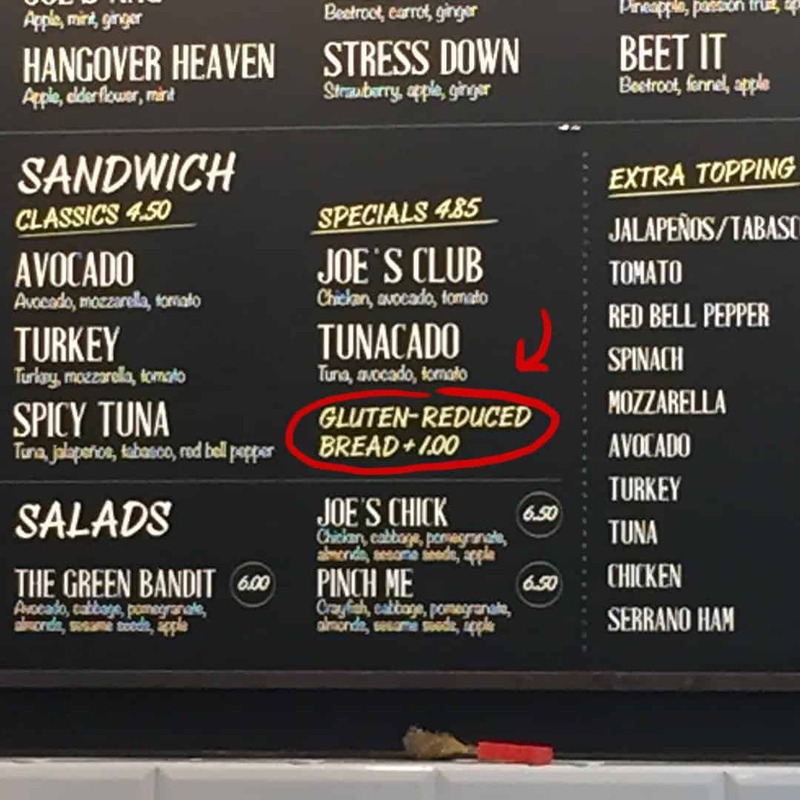 Oh, you must mean that it’s “gluten free”. 3. 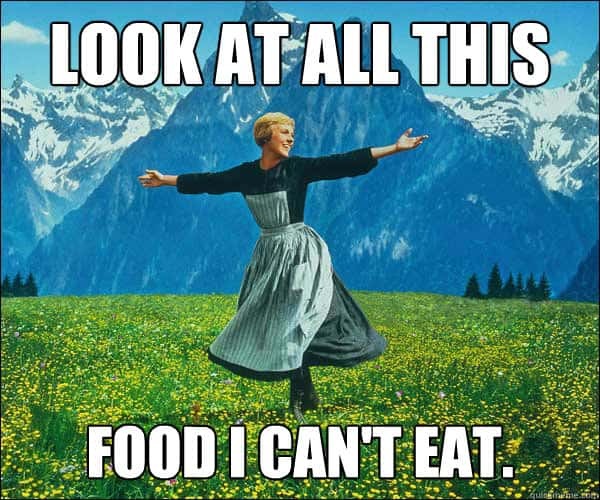 When restaurants don’t have a gluten free menu, so they subject you to a memory test by listing all the dishes that don’t contain gluten at your table. 4. Or instead getting a massive encyclopedia of every allergen in every single dish on the entire menu. 5. But sadly, you can still get glutened and not even know how it happened. 7. When people eat delicious looking gluten in front of you. 8. When your gluten free bread has so many holes that it starts to look as disappointed as you do. 12. Having to learn how to say “is this gluten free?” in every language just so you can go on holiday. 13. When people think you’re gluten free by choice. 14. When people ask if you can eat potatoes. 15. When you walk past the fresh bakery in a supermarket. 16. When you’re offered a slice of anyone else’s Birthday cake. 17. Not ever being able to order a Chinese takeaway. 18. Or forgetting to ask whether or not something is gluten free. 19. Or perhaps the most annoying thing of all… you’re just used to it! 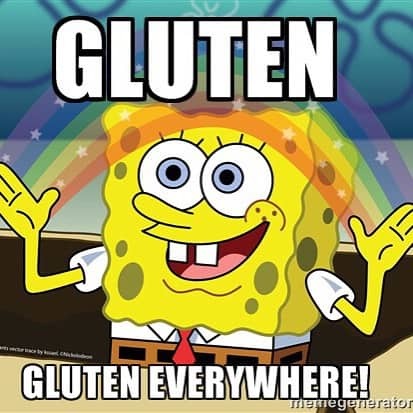 So there’s our list of 19 things that will annoy you if you’re gluten free! Are you a coeliac who’s constantly asked the same old questions over and over again? If so, what’s the most annoying thing someone has ever said to you? Do you cry every time you walk past a bakery? What’s your biggest gluten free pet peeve? Leave us a comment below or let us know on Facebook and Twitter! 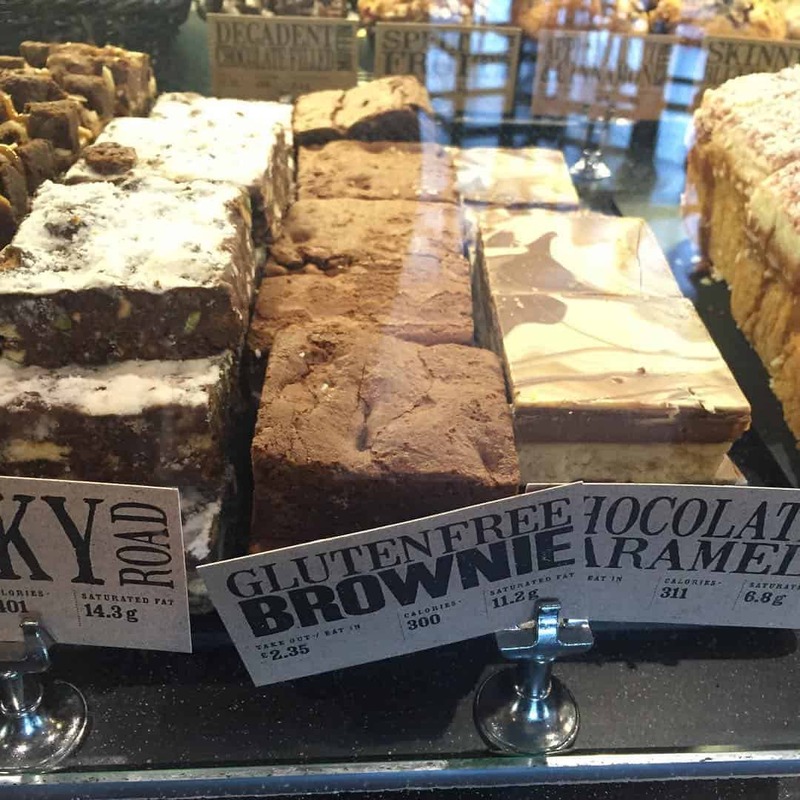 Previous Post 13 Shocking Gluten Free Facts That You NEED To Know! Next Post My IBS Diary Week 10 – Let’s talk FODMAPs!